Spring is in the air and with Spring comes Easter! 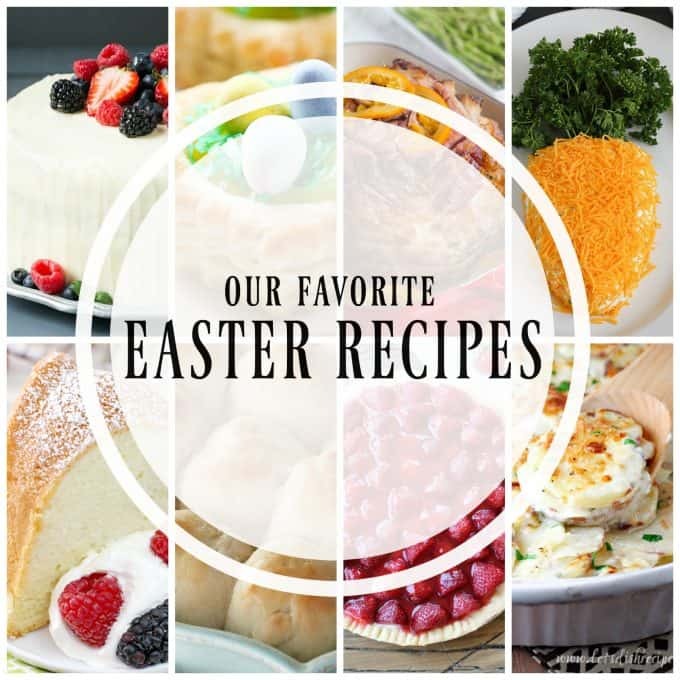 Here is a great selection from some of your favorite bloggers of their favorite Easter recipes. You know they’ll be tasty and definite crowd pleasers. Can you believe it’s almost that time of year already? Have you started planning your Easter menu? Save this to your favorite Pinterest board! I’m on a 10-day cruise this week and next to the Panama Canal with my daughter thanks to Princess Cruises! Have you been following my adventures? You can find me on Instagram, Twitter, Facebook, and Snapchat at daysofbaking365! Tomorrow morning we’ll arrive in Aruba after two days at sea. I’ve never been to any of the places we’re going, so I’m very excited. On my daughter’s birthday, we’ll be zip-lining in Costa Rica provided the weather cooperates. What a memorable birthday that will be! I’ll be sharing posts when I return all about our trip, so be sure to watch for them. Take a look at these videos for more great Easter ideas!